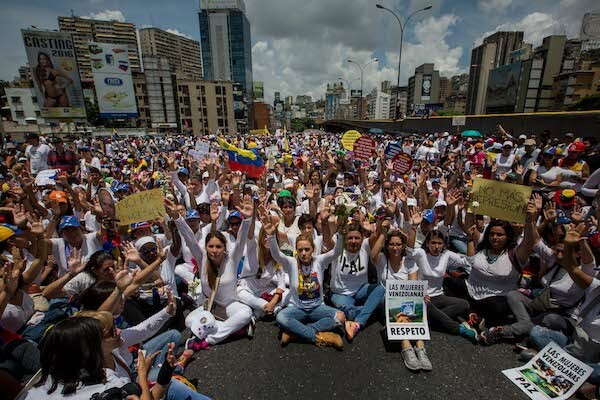 In Caracas, a tide of more than 20,000 women of all ages, dressed in white and with all kinds of banners, concentrated in the plaza Brión, in the east of Caracas, and later took the highway Francisco Fajardo, trying to reach the Ministry of Interior, in the center of the city. The intention of thousands of women, mothers, wives and daughters was to demand the cessation of violence by security forces during the previous demonstrations, which would have claimed the lives of 37 people, including two more in the last 24 hours. Without any sign of violence, the female demonstration seemed to develop smoothly, but a reinforced police picket, which did not allow them to continue the journey, hampered their path. 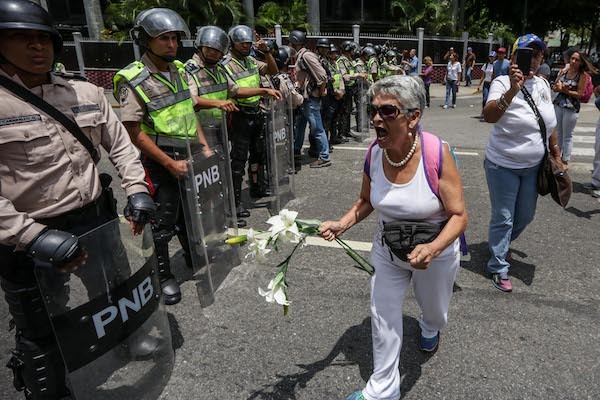 Faced with the obstruction, the women improvised with chants, flowers and all kinds of demonstrations, led by the leader and wife of the political prisoner, Leopoldo López, Lilian Tintori, and several opposition deputies, who tried to dialogue with the security forces, who did not give in to the claims. 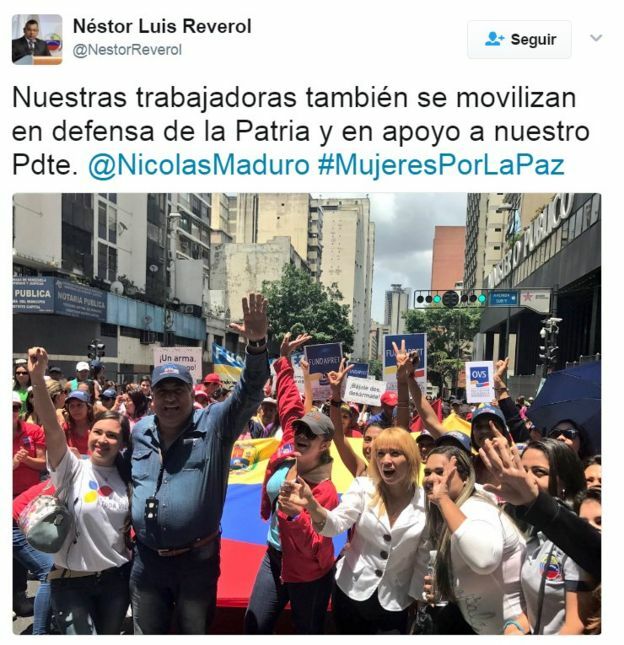 The Minister of Interior and Justice, Néstor Reverol, did not agree to receive the women from the opposition march. On the contrary, he published in his account on Twitter the realization of a parallel march in the west of Caracas, where hundreds of women congregated, supporting the government.